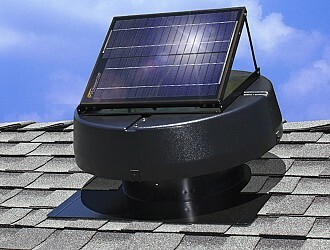 30-Watt Solar Attic Fan - Air Vent, Inc.
Professional grade, 30-Watt solar panel with heavy duty ABS fan shroud and 20 gauge steel housing and flashing. Includes patent pending smooth air deflection cone. Cools your home in the summer and removes harmful moisture in the winter. By removing excess heat in your attic, you can be more comfortable in your home, reduce energy usage, and save money. Additionally, you can protect your investment by removing moisture build-up year-round. 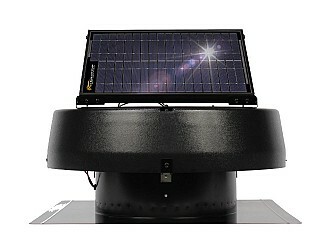 Attic temps can reach 160 degrees or more in the summer. These elevated temperatures can have devastating effects on you roof, interior comfort, and the overall health of your home. 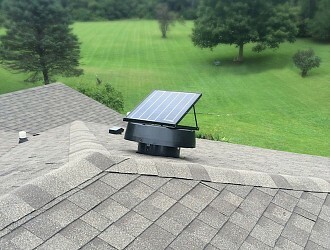 Installing a gable-mounted Solar Powered Attic Fan will help remove the heat build-up in your attic and bring your attic’s temperature down closer to the ambient outside temperature. Specifically tailored for the do-it-yourselfer and standard installations can typically be completed in a single afternoon. 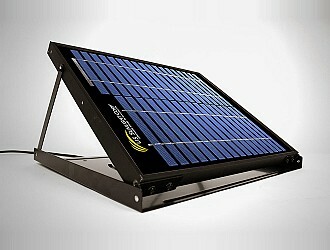 If you choose not to install the product yourself, U.S. Sunlight has a nationwide network of certified installers who can help. For details, or to find an installer near you, visit our contractor locator.